The RS1 Security Roller Shutters roll completely from view when they aren’t needed, leaving your window views unobstructed. With our line of window shutters, you get the best of both worlds: security and privacy when required, and beautiful views and spacious aesthetics when preferred. ATDC™ window roller shutters are famed for their top-notch quality and strength, ease of use and design flexibility. With the right choice of window shutters, you can enjoy an increased value of your home over time. Our Security Window Roller Shutters are sleek and unobtrusive, blending in with the overall appearance of your home while providing excellent security. 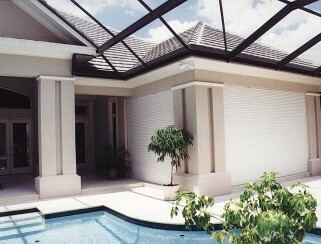 The RS1 Security Roller Shutters roll completely from view when they aren’t needed, leaving your windows unobstructed.